Glamour is the boutique inspirated to the female universe. 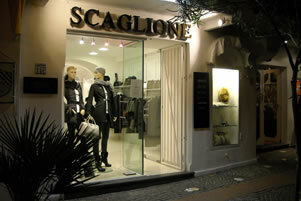 It is placed at the center of C.so V. Column, the most important shopping street of Ischia. This store spreads over two floors; the atmosphere in this point of sale is even more welcoming and elegant, designed for a female customers, using a look total white and a lot of chic details. On the inside, the staff is always available for a disenchanted exhibition of the various collections.